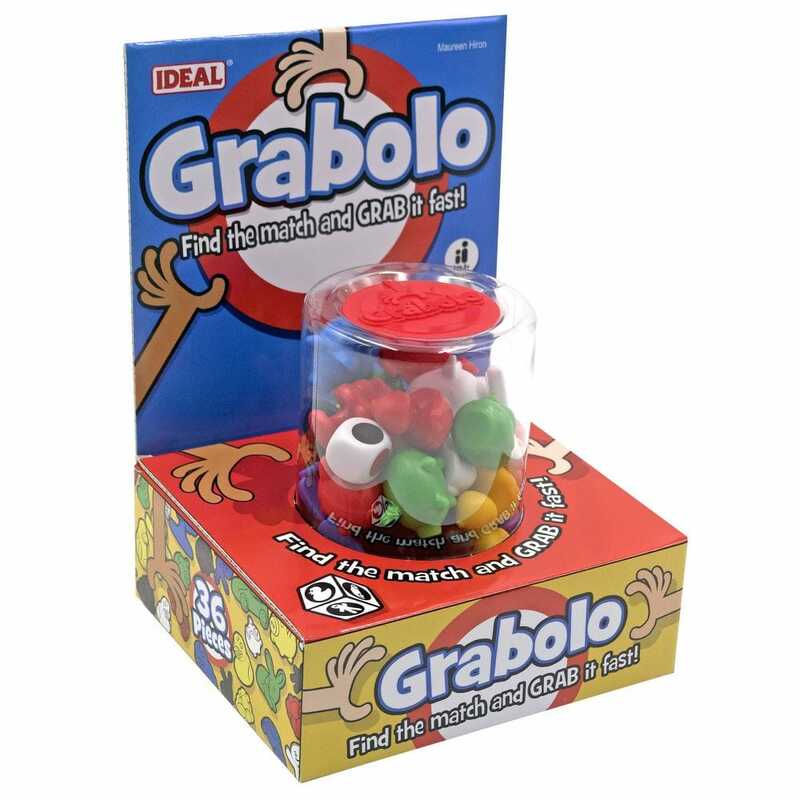 Do you have the best eyes and fastest hands at the table to succeed at Grabolo! A roll of the dice determines the combination of colour and shape playing pieces that you have to grab, so react quickly. Fun and fast game for everyone to enjoy, a great game for kid's parties and travel games. Contents: tub, 36 playing pieces, 2 dice and instructions.